Eating disorders and sexual dysfunctions share risk and maintaining factors, including biological alterations and psychopathological factors. Despite this clear overlap between these conditions, only recently the scientific community appeared to be interested in sexuality of these patients. The relationship between eating disorders and sexuality can be considered in terms of sexual dysfunction as well as taking into account hypersexuality and dangerous sexual behaviors. 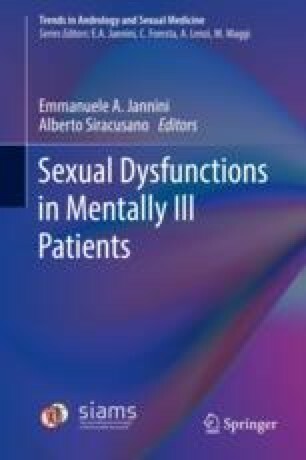 Indeed, patients with anorexia or bulimia nervosa and patients with binge eating disorder often reported reduced sexual desire and reduced orgasmic function. These alterations are not simply related with the medical consequences of the disorders; rather they have been associated with typical psychopathological dimensions in eating disorders, such as body image disturbance or emotion dysregulation. Furthermore, sexual abuse is a common risk factor for both eating and sexual disorders.